The Wind Capital of the Riviera Nayarit will be giving away three thousand oysters, 150 kg of fried fish and over 200 kg of ceviche to the more than 1,200 people expected to join in the festivities. 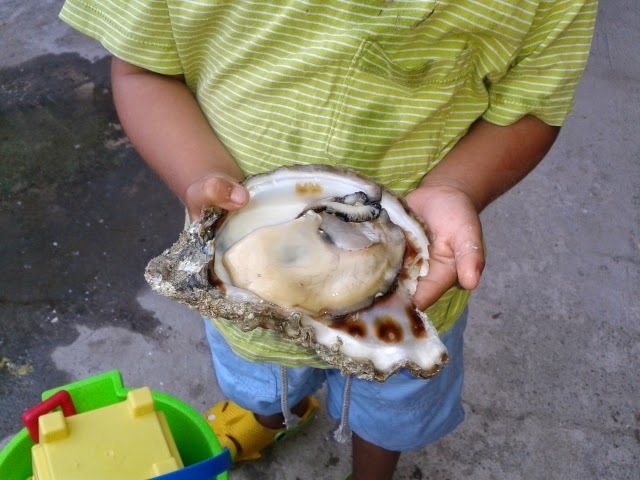 This coming Sunday, April 27th, the town of Bucerías—also known as the Wind Capital of the Riviera Nayarit—invites everyone from visitors to locals to enjoy the 2014 14th Oyster Festival at El Punto Beach. The celebration will be filled with music, partying and plenty of fun as it brings Easter Week to a close. It’s a lovely way to bid adieu to the holiday visitors to the Riviera Nayarit. “We want everyone to come because it’s an event that showcases Bucerías’ identity. It’s also a great way to close out the holiday season,” said David Elizondo, founder of the festival and part of the Organizing Committee. The hosts will welcome the more than 1,200 attendees with three thousand oysters, 150 kg of fried fish and more than 200 kg of ceviche—all free—sponsored by the Organizing Committee and the Fishing and Aquaculture Cooperative for Costa de Chila, Peñita and Boca Ameca. The festival is also in honor of the divers and the organizers will award a statuette and a financial prize to the diver that pulls out the largest oyster. The oyster-culling season ends on that particular beach that same day, independently of the general close of season, which begins the first of June. “They (the divers) have an oyster bank at El Punto and this event marks the close of the season for that particular bank, since they must protect the oysters for sustainability and to regulate its consumption; everything begins again in December,” added Elizondo. A monument to the divers will be built on the plaza at Bucerías and it is expected to become another regional landmark. The festivities begin at 1:00 p.m. and will continue until the “cows come home,” said the founder, who expects an increase in visitors over the previous years in the hopes of continuing to grow this tradition. A queen will also be crowned during the Oyster Festival; she will represent the divers and is selected based on audience applause. This event is unique in the region and represents another fine attraction among the many already offered by the Treasure of the Mexican Pacific.